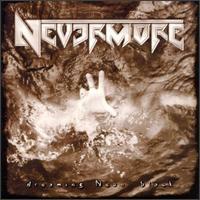 Nevermore is a North American progressive metal band from Seattle, Washington. Their precise musical style is debated by fans and critics alike. The band incorporates elements from styles such as death, thrash, and progressive metal into their songs, and also makes use of acoustic guitars and a wide range of vocal styles. They started in the beginning of the 1990s, when the band Sanctuary was pressured by its recording label to change its musical style, switching from heavy metal to grunge, which was obtaining mainstream success at the time due to bands such as Nirvana and Pearl Jam. Two members of the band, vocalist Warrel Dane and bassist Jim Sheppard, didn't agree with the change and thus proceeded to create a project of their own. Nevermore. 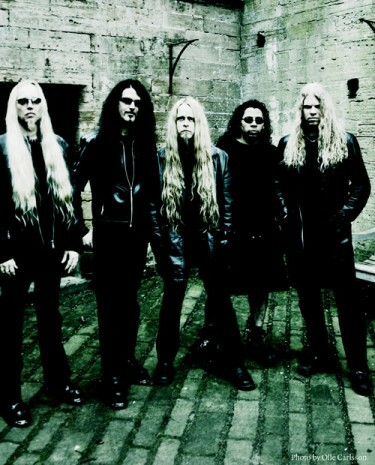 By the end of 1994, the band assumed a stable line-up, which saw the additions of drummer Van Williams and former Sanctuary touring guitarist Jeff Loomis. 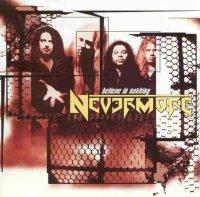 In 1995 Nevermore released its first, self-titled, album through Century Media Records. 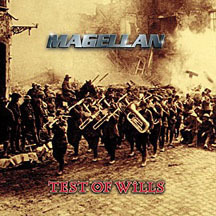 This album received much attention and specialized review, as its release was followed by an European tour with Blind Guardian and a North American tour with Death, both internationally-renowned bands. Second guitarist Pat O'Brien joined the band prior to the release of the "In Memory" EP, and also took part in the recording of the subsequent album "The Politics of Ecstasy", both from 1996. O'Brien left Nevermore to play in Cannibal Corpse, and guitarist Tim Calvert, who had previously contributed to Nevermore through songwriting, replaced O'Brien as Nevermore's guitarist. Three years without releases followed, and in 1999 the album "Dreaming Neon Black" was released. Highly acclaimed, the album narrates the story of a man's slow decline into madness, subsequent to the death of the only woman he ever loved. The tracks of this albums are varied in style, ranging from slow and melodic to aggressive and progressive. Warrel Dane put much effort in interpretation, emitting varied emotions from his vocals. The album's lyrics are a partially true retelling of the events Dane underwent after the vanishing of his long-time girlfriend. A long tour with several concerts followed, and Nevermore played together with bands such as Mercyful Fate, Arch Enemy, Iced Earth and Opeth. After the end of the tour, in 2000, guitarist Tim Calvert announced his departure from the band, subsequent to his marriage. Instead of finding a replacement, the band decided to continue as a quartet, only adding session guitarists for live appearances, such as Curran Murphy (who went on to play in Annihilator) and Jag Panzer's Chris Broderick. 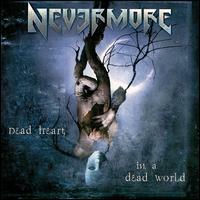 Nevermore proceeded to record "Dead Heart in a Dead World", which was followed by tours with several bands, most notably with Savatage in 2001. 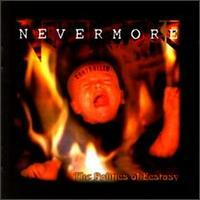 Their fifth album, "Enemies of Reality", remained in production for over a year, and was released in 2003. 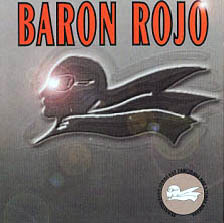 This album faced much criticism for its production and was re-released in 2005, after being remixed by Andy Sneap. On tour, the band was joined by second lead guitarist Steve Smyth, formerly of Vicious Rumors and Testament; Smyth was eventually added to the line-up on a permanent basis. A sixth album, "This Godless Endeavor", was released in July of 2005. 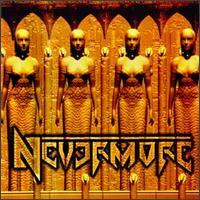 Nevermore then toured on Dave Mustaine's Gigantour during the summer of 2005. In 2006 they are scheduled to tour with Disturbed. They are also playing in direct support to In Flames on the second leg of their North American tour. 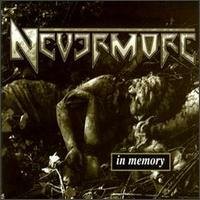 2006 held a bit of bad luck for Nevermore, as bassist Jim Sheppard underwent a procedure for Crohn's disease, which he has suffered from for over 15 years, and guitarist Steve Smyth was diagnosed with chronic kidney disease, he ultimately underwent a kidney transplant operation (which was successful). Warrel Dane developed type 2 diabetes, and the band was forced to cancel their show in Grand Rapids, Michigan, on May 13, 2006, due to an unspecified illness afflicting Dane. 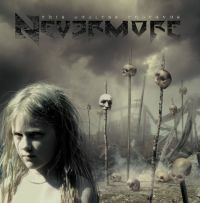 According to the Official Nevermore website their show on September, 12 2006 at the Zeche club in Bochum, Germany will be filmed for Nevermore's first full length DVD. This event will be captured by 7 cameras and the live recording will be produced by Andy Sneap. The double DVD set will also include a Nevermore documentary, all of the bands promo videos and past recordings from their whole career to date. This DVD is expected to be released in early 2007.